andybartlett.com If you're here, chances are you're quite lost. Batman, originally uploaded by AndyBartlett. 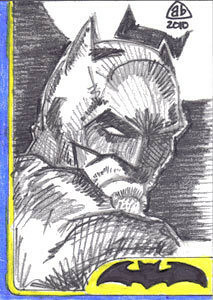 Artist trading card. Derwent sketching pencils with Prismacolor blue and yellow colored pencil.